Men’s skin is not the same as women’s skin! That’s why men shouldn’t use the same care products as women, either. To keep their skin looking great and healthy, men need to use a specially tailored care routine. Just like women, men also want to keep their skin looking great and healthy for a long time. And, just like us women, they experience problems with sensitive skin, acne and skin ageing. But men’s skin is very different in both its structure and its function. The most obvious difference between men’s skin and women’s skin is the sebum content, pH level and sweat production. WHAT MAKES MEN’S SKIN SO UNIQUE? Men’s skin is primarilyregulated by the hormone testosterone, which causes a different skin structure to women. What’s more, men’s skin is up to 15-20% thicker. It contains more collagen fibres and has a firmer and more robust appearance. Collagen is the skin’s greatest moisture reserve and is responsible for its tautness and elasticity. These natural water stores keep men’s skin wrinkle-free – at least until they reach their mid-30s. That’s why products should always be tailored to men’s skin. But men’s more robust skin has its downsides, too. Because of the male hormone testosterone, the sebaceous glands produce a lot more oil. Young men in particular therefore suffer from blemished skin or acne more often than young women. Men should therefore never use the same jar of cream as their partner – this could block the sebaceous glands, which could cause spots. When caring for their facial skin, men usually need creams with plenty of moisture and not much oil, such as NIVEA Men Creme. Whilst women have to deal with their first eye wrinkles as early as their early 20s, men’s skin stays smooth until their early 30s. But skin ageing then picks up the pace – for example, forehead wrinkles quickly set in. We all know the feeling: the sun comes out, enticing us to the park, hot Mediterranean countries or the mountains. Lots of men believe that the sun cannot damage their robust skin. But that’s wrong: even men’s skin reacts to strong sunlight by ageing prematurely and developing wrinkles. What’s more, if they stay in the sun for too long, men can also develop pigment spots or age spots on their skin. Regularly applying sun protection is therefore a must for men, as well: the ears, neck, and the scalp in men with not much hair are particularly heavily exposed to the sun. In addition, special face creams are also available for men’s skin, containing UVA/UVB protection, such as NIVEA MEN Active DNAGE Moisturiser. These not only provide the skin with plenty of moisture, but also protect it from harmful sunlight at the same time. Many women’s care products are really tough on men’s skin. Men’s skin is different in its construction and structure, and therefore needs care that is specially tailored to its needs. Find out which products you can share with your partner and which ones it’s better not to. Regular shaving puts strain on men’s skin! When wet shaving, the top layer of skin is removed. The skin which is irritated when shaving does not tolerate aggressive products. Men's facial skin is thicker and produces more sebum than women’s skin. Antibacterial wash gels and gentle exfoliation such as Active Energy Fresh Look Face Wash from NIVEA MEN are ideal for fighting blemishes. One problem area for men’s faces is beard growth: every shave irritates the skin! You should therefore choose a shaving foam,shaving gel after-shave which suits your skin type. Quickly absorbed moisturising creamsrelieve the skin without making it oily. Women's facial skin is finer, more sensitive and tends to become dry. That's why women's skin needs a rich face cream which can optimally balance the moisture and oil content. Problem zones include the mouth and eye areas, as wrinkles are more likely to develop here. Rich face creams with ingredients such as vitamin C, hyaluronic acid or Q10 can prevent wrinkles in time. Applying cream after showering is a must for both men and women: men should use moisturising lotions which absorb quickly. 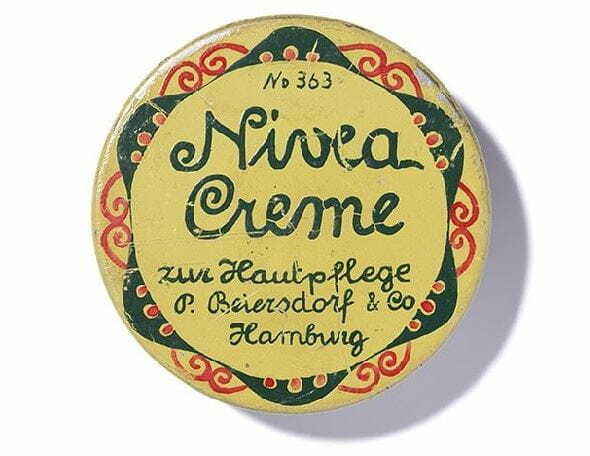 Women, on the other hand, need a richer body cream, depending on the condition of their skin. Men’s hair needs care, too: NIVEA MEN Deep Shower Gel is the ideal men’s wash, leaving both skin and hair feeling refreshed and cared for. Men are more likely to get hard skin than women, but the same goes for both: regularly care for your feet! Women and men can share foot care products.